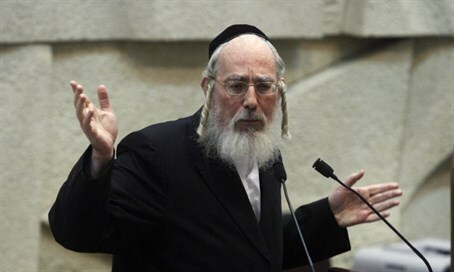 MK Yisrael Eichler demands the government enforce laws requiring businesses to close on Shabbat. At a meeting with business people on Wednesday, MK Yisrael Eichler (United Torah Judaism) demanded the government ensure the rights of small business owners by enforcing laws requiring business to close on Shabbat. At the meeting, the business owners – not all of whom were Sabbath observant – asked Eichler to intervene and get the government to enforce the law on the day of rest, which requires stores to be closed on the official day of rest – the Sabbath. Recent governments have discussed situations in which employees are forced to take Shabbat shifts or lose their jobs and have initiated legislation to deal with those situations, but there are no laws protecting small business owners, the group told Eichler. “We are being bankrupted by the unfair competition, in which some businesses get a 'pass' to open on Shabbat for technical reasons, while we who do follow the letter and spirit of the law suffer,” the group said. According to Eichler, the problem stems from uneven zoning and municipal laws; in some places, it is legal for a business to operate on Shabbat, although Jews are not allowed to work there. “These stores hire Arabs to run the cash registers and in their 'merit' they are 'allowed' to work on Shabbat. This is an unacceptable scandal,” said Eichler.